There that was easy. In our next post, we’ll… what’s that? I’ve missed actually showing any implementation. Fair point, we can do that. Values here are hard coded which we don’t want to do usually, check out https://aspnetmonsters.com/2016/01/Configuration-in-ASP-NET-Core-MVC/ for how to pull in configuration. 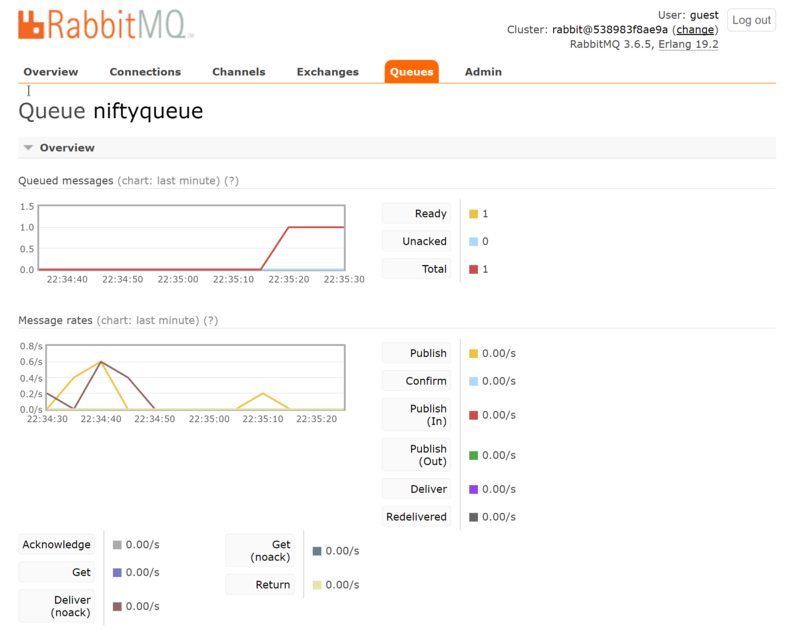 Ignoring that we start by creating a conneciton factory with connection information for RabbitMQ. We then create a new queue (or ensure that it already exists) called “niftyqueue”. There are some other parameters in the queue creation we can get into in a future article. Next we’ll create an AddUser command and serialize it to JSON using good old Json.net then get the bytes. Rabbit messages contain a byte array so we have to do a tiny bit of leg work to get our CLR object into a form usable by the transport. JSON is the standard for everything these days so we’ll go with the flow. In a real system you might want to investigate Protocol Buffer or something else. In the next post I’ll start taking a look at how we can layer MassTransit, a .NET message bus, on top of raw RabbitMQ. The result is a much more pleasant experience then simply hammering together raw RabbitMQ.